The Farmer Girl herself is Mary Rash, the daughter of a commercial farmer from Kent County, Delaware who operated large commercial farms for national canneries. In her teens Mary combined her love for farming with her dad’s business acumen and opened a farmer’s market in Wilmington. It flourished. The idea for Farmer Girl occurred to her in 1970 when, during a visit to Rehoboth Beach, she noticed a rundown gas station along Route 1 at Route 24, where a McDonald’s restaurant now sits. Knowing that many of her customers in Wilmington vacationed at Rehoboth, she leased the building, cleaned and refurbished it and launched her second farm market. It was a natural. Her Wilmington clients vacationing at the beach quickly made the connection between Mary and their “farmer’s girl” from home and the name stuck. 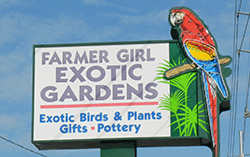 “Farmer Girl Exotic Gardens" was born. 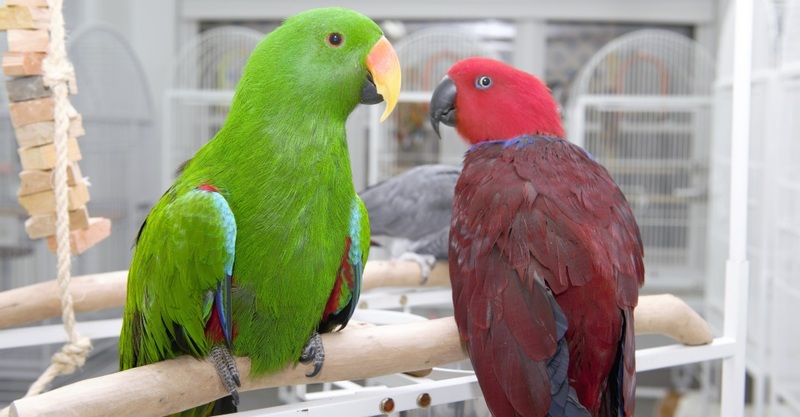 In the beginning, Mary was only open for six months a year, closing in the fall and taking her birds to Florida for the winter. Initially her shop was limited to produce, but responding to customer requests, Mary’s started handling high-end outdoor products for the region’s homeowners. Her growth quickly required a bigger store and Farmer Girl moved a couple of miles north on the Coastal Highway to a site where the Tanger Outlets now sit. That was home for 20 years until the Midway shopping plaza was built and Farmer Girl moved to its current location.